How long have you been looking for a proper software piece to manage your email correspondence more effectively? Today we offer you a handy and cost-effective solution, which will put an end to difficulties and help you export emails to XPS on time. 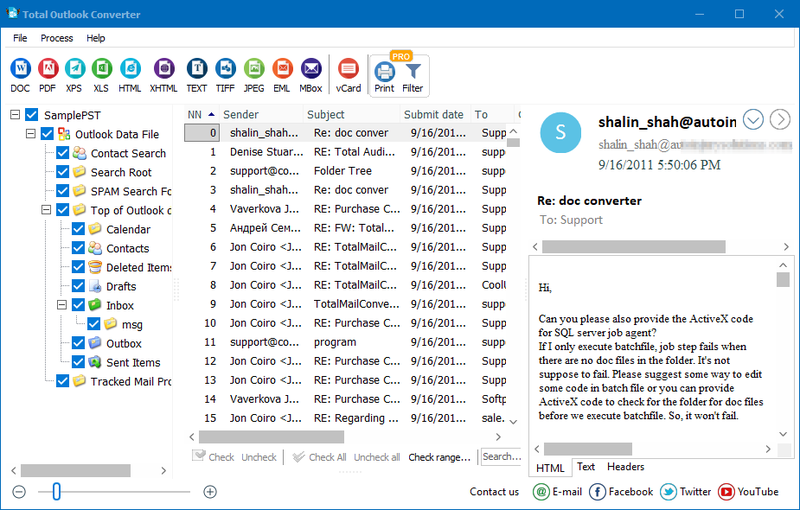 Total Outlook Converter saves Outlook emails as .xps files fast. 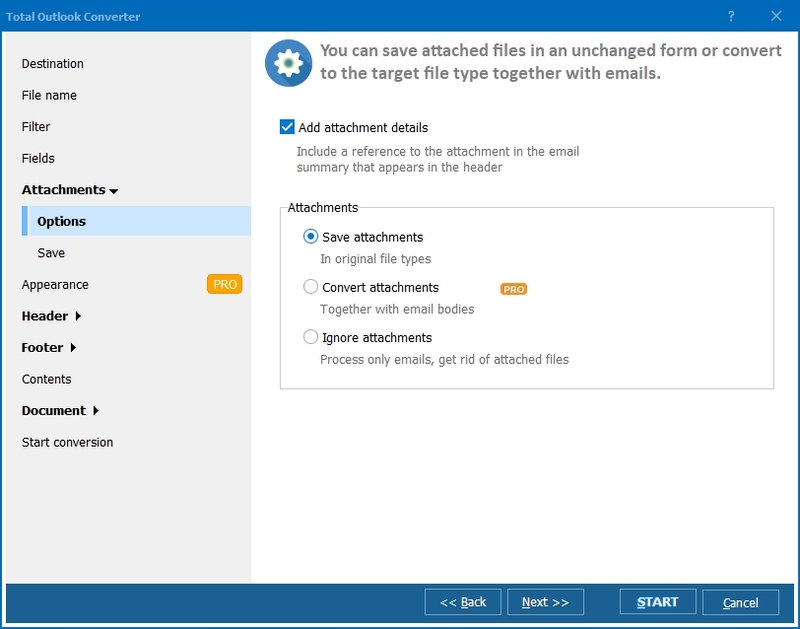 Thanks to the batch function, you can set this converter to process an unlimited number of emails instantly and save the resulting XPS files in a new folder. Apart from the batch function, this converter has command line option. You don't have to learn the command line params. Just make all the setting in the GUI and the program will create a ready-to-use command line for you. 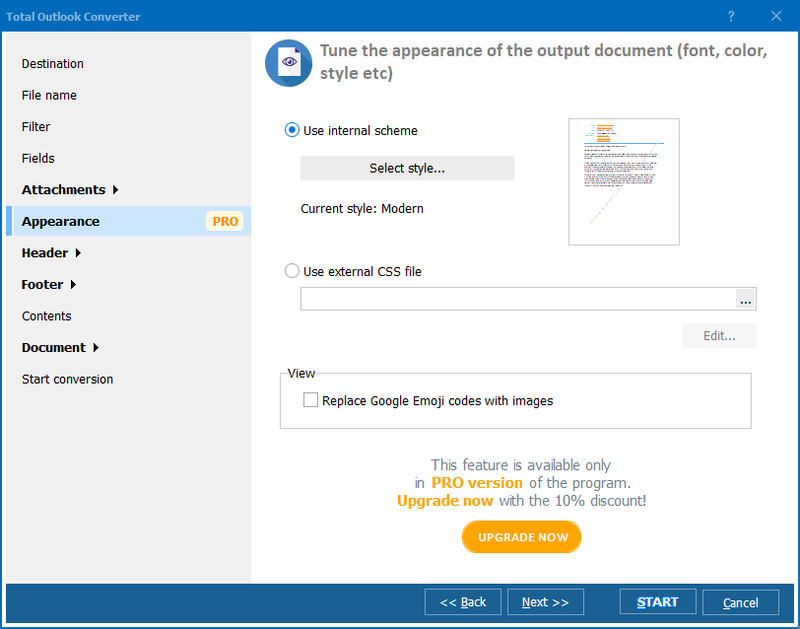 Launch the GUI, scroll the file tree (on the left) and select the folder with Outlook emails. Check the emails, which you want to save as XPS files. To activate the batch function and convert the whole group of files, press "Check all". Select fields, which you need to export. Tick appropriate options in the "Attachments" tab and specify what you want to do with files attached to your emails. This option is available in Pro version of Total Outlook Converter. Add the page header/footer - a page counter or company name. Select the "Start Conversion" tab, review the settings and press "Start" to convert. All the parameters that you have chosen will be applied to all output XLS files. If you want to test this product before purchasing it, you can install the free trial version and keep converting Outlook emails to XPS throughout the 30-day trial period. Once you buy the license, you will be able to use our technical support and updates for free during the first year following purchase.